Wow with this deal from Secret Escapes you do not fly through the air, but you reach your destination by ship over the ocean. It goes to the capital of Norway, Oslo. A small cruise ship brings you to Oslo for only 349 kr and provides you with everything you need. You start in Copenhagen and go to Oslo within 2 nights. You can flexibly book the journey, meaning that you can spend several days in Oslo before returning back to Copenhagen. 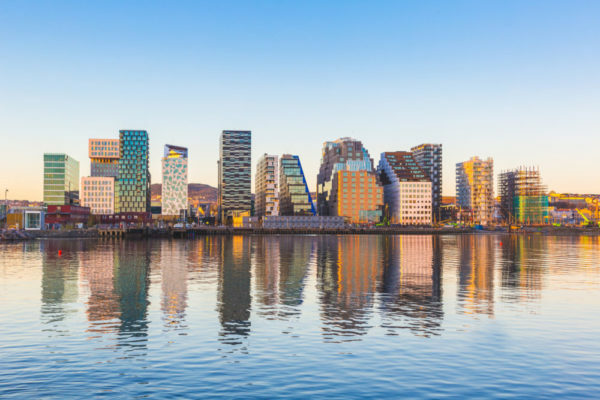 Enjoy two days at sea and one or several days in the beautiful Norwegian capital city Oslo. The boat starts at around 4.30 pm from the terminal in Copenhagen and arrive in Oslo 2 nights later in the morning. The mini cruise offers different restaurants, like Italian pizza or European steaks, and a lot of activities and entertainment for children and adults. There is live music every night and a nightclub, wich stays open for a long time. For cheap hotels you can have a look in Booking.com. Wonderful nature and a beautiful landscape are as much a part of Norway as the capital city Oslo. I always recommend to do a boat tour through the “Oslofjord“, it is really amazing! 🙂 Visit the old town and discover the castle Akershus or the city walls of the Middle Ages. In Oslo, there are also many modern buildings, which gives the city a unique charm. Visit one of the many museums in the city and explore the bars and restaurants in Oslo. Let’s go to the Oslo deal! Sign up for my Newsletter, and don’t miss anymore deals. 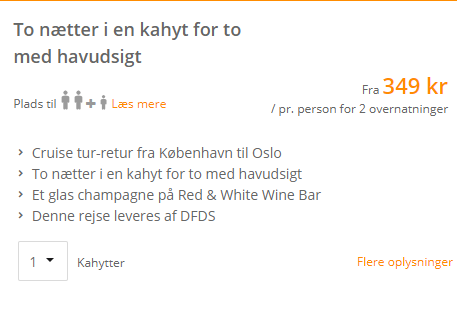 You’ll be the first to find out about our Oslo bargains!